The baseball/softball fields host games and practices. From t-ball to a company outing, the fields are used by many community members. Families and friends come out to watch the game. Ultimate Frisbee teams, dogs playing fetch, soccer games, and flag football are familiar scenes observed on the large green field. During the summers movie nights in the park are located in this area. The rainy climate keeps the grass green and fresh year-round. 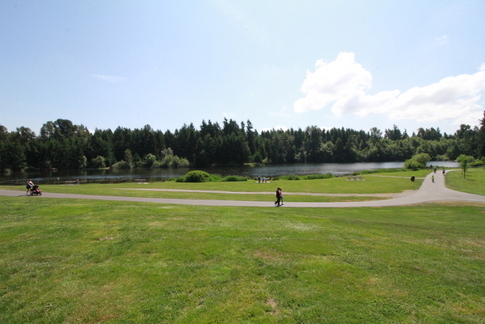 It’s also a great place to grab a blanket and have a picnic. There are a couple of spots to fish around the lake. Grab your fishing pole and bait and see what you can catch. 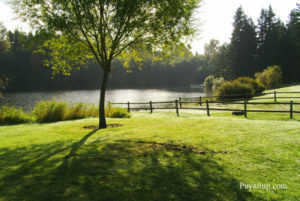 Many people enjoy setting up a little place to fish and enjoy the atmosphere. For more information about fish, the lake, and fishing conditions click here. It is approximately a .62 mile walk around the perimeter of the Lake. You will find joggers, rollerbladers, and bikers of all ages enjoying the track. Around the walking track, you will spot some walking trails that lead off the path into the forest. If you want to explore the woods surrounding the park you can explore the trails. 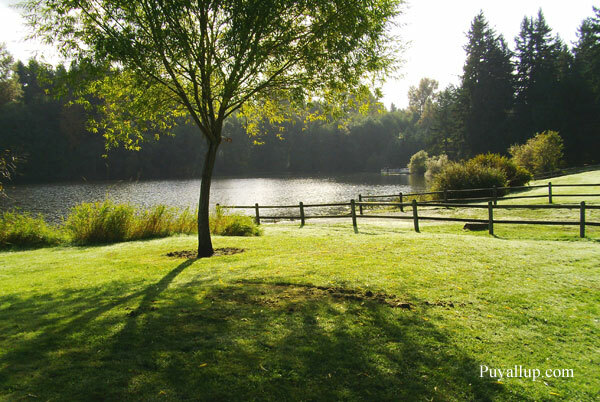 Bradley Lake is extremely dog-friendly, and a furry friend might greet you during your visit. The Picnic Area is used for events like birthdays, celebrations, and work events. The covered shelter is available for rental. 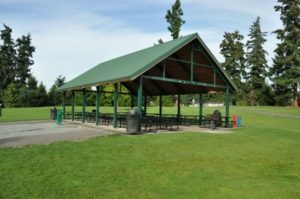 Click here to find a picnic shelter rental application form. This covered area is ideal for those unexpected rain showers. The Playground is a perfect place to take your kids. There are two separate playing areas, one for younger kids and one for just a little bit older. 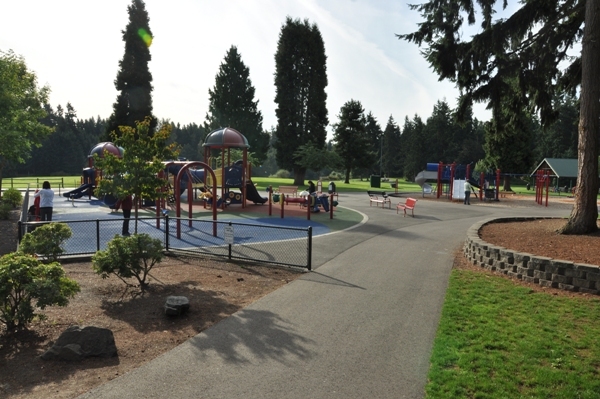 There are swings, slides, monkey bars, and a variety of structures to keep your children busy! The play structures have a soft ground to soften falls. Several drinking fountains and restrooms are available for public use. There is a parking lot attached to the park, one across the street, and street parking. 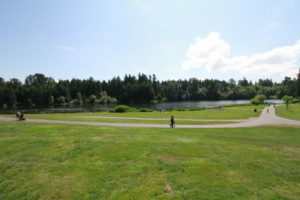 Whether you are just going to take the dog for a walk, celebrating a birthday, or just want a nice path to walk on, you will not regret spending some time in the great outdoors at Bradley Lake Park.